#CPChatNow | Online community for those with cerebral palsy! 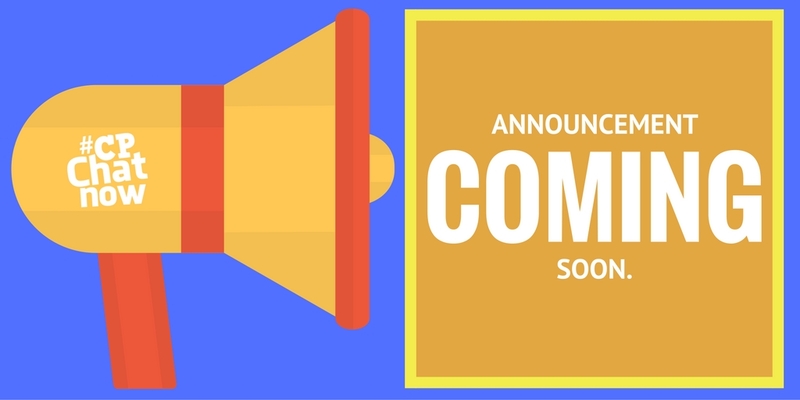 Assorted topics arose Wednesday, April 17th, 2019 during the weekly cerebral palsy Twitter chat #CPChatNow. I am co-host Zachary Fenell, here to meet all your recap needs. So allow me to get right into the action. Long-time #CPChatNow regular Jen refused to let a storm threat stop her from joining in on the week’s fun. Actually the storm threat wound up stimulating conversation. Based off Jen’s situation, I asked participants to name their least favorite parts about storms. Jen mentioned tornadoes and sirens. Meanwhile Seth said power outages remain his least favorite part. I noted the inconveniences power outages cause. My co-host Devin Axtman added insight, pointing out power outages create difficulties medication wise too. Another conversational spark occurred when Devin asked if anyone has seen Netflix’s new TV show Special. Molly said Special made her cry, meaning the show left an emotional impact on her. Blemi also enjoyed an emotional viewing experience, explaining how she identifies so much with Ryan’s character. Words leaving Devin to exclaim he will have to watch! Hannah additionally revealed her intentions to watch Special, putting the show on her things to watch list. How about you? Answer for this week’s extend-the-conversation question, “Do you plan to watch Special? Why or why not?” Answer in the “Comments” section! Speaking of plans, participants shared their upcoming Easter plans. Blemi raised the subject, asking if anyone possessed big Easter plans. Hannah looked forward to coloring eggs for the first time in at least five years. Simultaneously, Grace revealed a unique Easter tradition her family partakes in. Oppose to an Easter egg hunt, Grace’s family plays family trivia. She pondered whether the tradition extends from her family seeking an accessible alternative to the more traditional Easter egg hunt. Either way, the trivia offers a fun time. Perhaps your family enjoys their own unique holiday tradition. Join us on Twitter Wednesday evening starting at 8pm ET and share all about your tradition! 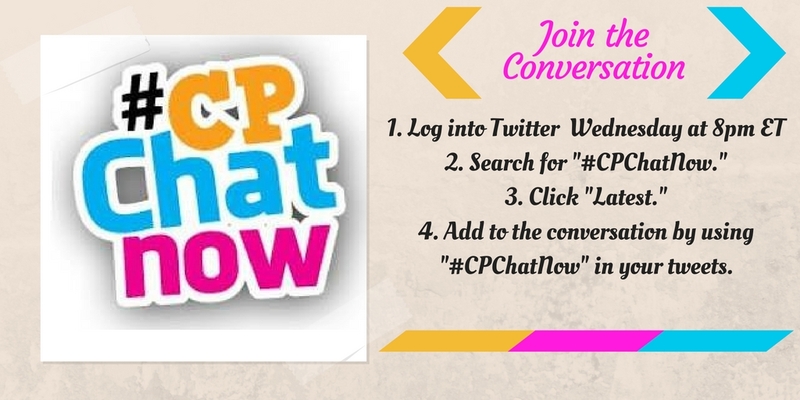 Just remember to use the hashtag “#CPChatNow” in your tweet. Finally, also remember to answer the week’s extend-the-conversation question. “Do you plan to watch Special? Why or why not?” Comment below! This past week in #CPChatNow was interesting as always. Members discussed various topics such as problematic Lyft rides, meeting a significant other’s parents, and patronizing words. In honor of the Stanley Cup Playoffs, here are the 3 stars of the week presented by #CPChatNow Co-Host, Devin Axtman. This brings us to our Extend-The-Conversation Question: What words or phrases used to describe disability miff you? Please join us each Wednesday at #CPChatNow on Twitter at 8 Eastern. Happy March! In the United States this month receives distinction as Cerebral Palsy (Developmental Disabilities) Awareness Month. Prior to the occasion participants in the live cerebral palsy Twitter chat #CPChatNow gathered for one last February Twitter chat. I am co-host Zachary Fenell, here to tell you all about the discussion via your weekly recap! While still February, our heads remained focus towards cerebral palsy awareness. To commemorate CP Awareness Month Cerebral Palsy Alliance Research Foundation has started an ongoing curation of photos featuring individuals with CP titled “The Faces of Cerebral Palsy.” Familiar face to the chat Jocelyn tipped me off to the project and I further shared with our community. Fill out the Faces of Cerebral Palsy form to submit your photos and story. You will notice the form includes a few questions. One in-particular sparked dialogue within our chat February 27th. Meanwhile I explained what gave me trouble in answering, saying in-part “I realized my answer would differ based off who the ‘people’ are?” Nonetheless I eventually settled upon a reply. I decided I wished people to know “a lot more is possible when you focus on combating particular symptoms rather than focusing on the general diagnosis.” Alternatively participant Veronica Hosking communicated a different wish. Watching the UCP of Central Arizona’s telethon, Veronica reported a mother called noting the mother never heard about cerebral palsy until her daughter received the diagnosis. This left Veronica wishing more people with CP would talk about the condition. I suggested the issues stands less with people not talking about their CP, but instead the discussion taking place on niche platforms. Adding to my comment I emphasized the importance behind a show like Speechless airing on a mainstream channel. Veronica and I agreed such representation proves huge! Another area where disability representation could use a boost includes within the workforce. A fact supported by statistics participant Shira provided. Research for school led Shira to learn only 37% of the disabled population that is of working age have jobs. Devin reasoned the poor numbers come down to attitudes and assumptions. Let us try to debunk these bad attitudes and assumptions using our extend-the-conversation question. Remixing the aforementioned alongside the Faces of Cerebral Palsy question previously recapped, we get the following query. Leave your reply in the comments section and keep the conversation going! Then mark your calendars to remind yourself to join us on Twitter every Wednesday starting at 8pm ET.